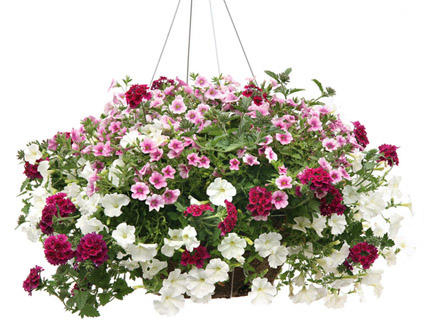 Our ‘Easy on the Eyes’™ Proven Winners® Combination promises to become a customer favorite. The combination of our Supertunia® White Petunia, the amazingly colorful Supertunia® Strawberry Pink Veined Petunia and the rich Superbena® Burgundy Verbena is definitely pleasing to the eyes! The plants in our 'Bunker Hill' Flowering Combinations are grown and shipped in fine quality growing medium and are guaranteed to arrive alive and ready to thrive.